The Sacred Page: The "Mummy Mark" fragment: Major find or modern post-it note fromMorton Smith? The "Mummy Mark" fragment: Major find or modern post-it note fromMorton Smith? Last week, LiveScience.com ran an interview with Craig Evans in which he spoke about the discovery of what is claimed to be the earliest copy of a text from Mark's Gospel. According to Evans, the text was retrieved from an ancient Egyptian mummy mask. A number of major news outlets are now running reports on the story (CNN, Washington Post, FoxNews, etc.). To be fair, there are some incoherent elements of the report. As P.J. Williams has said, "I am not even confident that we can use it with any accuracy as a source for what Craig Evans has said." I'll talk about some of the problems below. Apparently, Evans is referring to the same fragment Daniel Wallace referenced in a public debate with Bart Ehrman and then wrote about on his blog a few years ago. More recently, Craig Evans spoke about the mask fragment at a Canadian apologetics conference. See the video below. Notably, Evans seems to suggest that "Mummy Mark" is just the tip of the iceberg. He mentions other Christian texts as well as other ancient documents that were also found. All of this is... well, very tantalizing. Unfortunately, it seems like the scholars involved have signed some kind of confidentiality statement. So other than announcing the discovery--and making some amazing claims about it/them(?) --we aren't getting much more information. In other words, we have the announcement of the find but no peer-reviewed public evidence. We have claims but really nothing more than that at this point. Über-exuberance or dismissive skepticism are both unwarranted responses based on the information supplied so far. But when the fragment is published along with six other early New Testament papyri (all from around the second century), the scholarly vetting will do its due diligence. It should be fun! Indeed, there are many questions that will need to be asked. Among them, How was this acquired? How has the dating on the fragment been confirmed? For more, see Candida Moss' piece here on CNN's site. One question she asks is, "Who owns the papyrus, or the mask from which it was taken, and from whom was it purchased, and when?" The Green Collection contains over 50,000 items, and now holds nearly 1,000 papyri acquired from private collections in Europe, and continues to grow. The collection is approximately 70% Greek, 15% Coptic and 15% late Egyptian. The collection is currently unpublished and contains items of extraordinary importance, including some of the earliest Greek literary texts known, dating to the early 3c BCE. A major building near Capitol Hill in Washington, D.C. was purchased in July 2012 to house an international museum for these items. It appears that this collection is owned by the family that founded Hobby Lobby. The whole project, including the Green Scholarly Initiative and the Green Collection, seem to be inspired by a desire to evangelize. 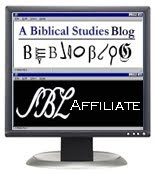 At least one papyrologist specialist, Brice Jones, has expressed concerns that the religious commitments of those involved with the collection may somehow impede requisite scholarly analysis. Now, let's be fair. Craig Evans is a real scholar and a man of real integrity. And, although I have never met him, Daniel Wallace seems to be on the level as well. I don't think anyone is suggesting these men would be guilty of foul play. Karen King at Harvard has been involved with the publication of another ancient fragment, which is widely suspected to be a forgery (see below). However, no one thinks King herself has been guilty of wrongdoing. Why? Well, for one thing, discoveries like these often involve a number of people. The document is found/extracted, sometimes it is then sold, and along the way it is handled by multiple individuals, including those who have analyzed it while performing various tests. What about "Mummy Mark" and the other manuscripts Evans mentioned? To be fair, I think a degree of healthy skepticism is warranted. On the personal website of Josh McDowell, an American evangelical Christian apologist, there is a very interesting post about an event called "Discover the Evidence," which took place on 5-6 December 2013. At this event, it is said that "each attendee actually participated in the extraction of papyri fragments [sic] from ancient artifacts. This had never been attempted with such a large group before. That was historic!" [NOTE: This quote has since been revised on Josh McDowell's site to the following: "We watched as papyri were carefully extracted from ancient artifacts. That was historic!"] The artifacts may be part of the collections amassed by Carroll, who was a main speaker at this event, since his bio at the bottom of McDowell's article states that "he and his wife have established both the Scott Carroll Manuscripts & Rare Books and a non-profit – The Manuscript Research Group, which provides access to scholars who identify and prepare for publication cuneiform tablets, papyri, Dead Sea Scrolls, biblical manuscripts and Torahs of enormous significance." So, apparently Carroll has now branched off from the Green Collection and Hobby Lobby to create his own collections under the auspices of the "Scott Carroll Manuscripts and Rare Books" and "The Manuscript Research Group." I am very interested in learning more about Carroll's organizations and the "Discover the Evidence" event and what took place there. What did the "extraction of papyri fragments [sic] from ancient artifacts" actually involve? Extraction from what? And why were (non-specialist?) attendees given hands-on access to unpublished artifacts? The article also mentions that "over 50 papyri fragments out of nearly 200 papyri that were discovered have been identified." 200 papyri? Where were they "discovered?" What is their provenance? This raises a lot of questions, indeed. P.J. Williams rightly raises some questions about the reporting of Craig Evans' comments on LiveScience.com. If we begin with the LiveScience report, which is our most recent 'source' for information about FCM, we note that it has not been written with great care about accuracy. The second century is said to consist of dates between 101 and 200. It is suggested that 'ordinary people' had mummy masks. It is said: "In recent years scientists have developed a technique that allows the glue of mummy masks to be undone without harming the ink on the paper". It would be hard to harm the ink on the paper of a mummy mask, because one can be sure one will not find paperin one. Therefore although I'd be delighted if we could rely on the source to establish that we have a single sheet of papyrus, and that currently seems probable, it's difficult to be certain. "Evans says that the text was dated through a combination of carbon-14 dating, studying the handwriting on the fragment and studying the other documents found along with the gospel. These considerations led the researchers to conclude that the fragment was written before the year 90." However, C14 dating will not render a date as precise as 'before 90'; nor will palaeography. That leaves us with two other methods of dating: archaeological context and associated writings. 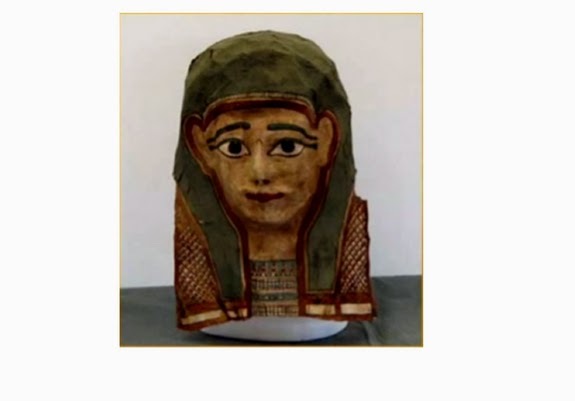 Finally, it might be possible that archaeological context would date a mummy mask to a particular date, but that would be highly unusual, and would not accord well with Dan Wallace's earlier emphasis on the expertise of an unnamed palaeographer as the basis for the dating. Palaeographers don't normally deal with archaeological dating. Other things said along the way though also make me very suspicious about the quality of the work involved in this. One argument McDowell (and Evens apparently in the video above) makes is that the mask must have been from a pagan and he used Bible fragments because he was trying to destroy a book he thought was silly or unworthy. But the first question should be how does he know it was a pagan that was mummified and not a Christian? While the practice is associated with the ancient Egyptians, there were plenty of mummies found in Egypt that are of Christians. Just in the news last year a mummy was found with a tattoo mentioning the archangel Michael from c. 700 CE. Also, the logic that the reason Bible fragments are on the mummy are illogical; if this was to disrespect the Christian scriptures, then does that mean the person was also trying to disrespect the epics of Homer also found with the mask? Did this pagan also hate paganism? There is nothing but the flight of imagination here as some modern evangelicals are trying to find evidence of early persecution of the faith (something that has also been found to have been exaggerated). Bart Ehrman also has a post expressing concerns. For more, see this fine (though earlier) round up by James McGrath. 1972: Carsten Peter Thiede published a book making the claim that one of the Dead Sea Scrolls contains a fragment from Mark's Gospel. The theory, however, has been debunked. The fragment is very small and Thiede had to rely on some reconstructions of the original text that have been widely viewed as incorrect. 1973: The scholar Morton Smith announced the discovery of the "Secret Gospel of Mark", which was said to be even earlier than the canonical Gospel of Mark. That has now been widely dismissed as a fraud. 1970-90s: Many sensationalist claims were made by Ron Wyatt (and associates of his), who, among other things, claimed to have found Noah's ark, the ark of the covenant, chariot wheels, and other relics in the Red Sea from the Exodus. Wyatt was no specialist and had no training in archaeology. His claims have been roundly refuted. 2002: The discovery of an ossuary of containing the bones of "James, the son of Joseph, the brother of Jesus" made big headlines. Yet questions quickly began to surface about the object. The man behind it, Oded Golan was brought up on charges of forgery. A seven year trial ended with him being acquitted of the forgery counts but he was found guilty of illegally trading antiquities. Hershel Shanks of Biblical Archaeology Review has defended its authenticity. Still, according to the Los Angeles Times, at least one key witness was unable to testify. A craftsman, he claimed that he had been directed to work on the ossuary by Golan himself. The messy political relationship between the Israelis and Arabs, however, it is said somehow prevented him from appearing in court. Was he credible? I suppose we will never know. Whatever one thinks about the authenticity of the piece, I think all will agree grant that the artifact was not properly handled. Personally, I suspect there will never be a definitive conclusion about this find. 2007: Titanic director, James Cameron, and Simcha Jacobovici produced a "documentary" on the find of what they claimed to be the tomb of Jesus, which they linked to the James Ossuary. Their claims, however, have been widely debunked. With the danger of profiteering now so real, one can understand why scholars are concerned about the practice of "publication by press conference". Moreover, as forgeries are getting better and better, I suspect we are soon getting to get to a point where we may never be able to banish all doubts about a sensational discovery's authenticity. And "finding" an artifact on eBay is not exactly going to pass scholarly muster with regard to the question of "provenance". So what about "Mummy Mark"? The scholars involved are saying that the evidence will be published by the highly respected academic publisher, Brill. Yet the story keeps changing on that front. Originally, Daniel Wallace had said the monograph on the topic would be published "sometime in 2013". After moving the date back to 2014 and 2015 we are now hearing that it won't be available until 2017. Suffice it to say, given the fact that we've been burned before, one can understand why scholars would be cautious. To end on a humorous note, Danny Zacharias has released a shocking video below of Craig Evans, revealing his method for retrieving and analyzing ancient artifacts. I'm not sure this will alleviate all the concerns. Perhaps the whole thing will just turn out to be a post-it note from Morton Smith after all. Francis Watson, "Beyond Suspicion: On the Authorship of the Mar Saba Letter and the Secret Gospel of Mark," JT 61 (2010): 128-70. Thanks for the level headed assessment, Michael. There is good reason to be skeptical, but some of the reactions on the Internet where people like Craig and Dan have been demonized is concerning to me. At least this group is trying to take things slow, go to Brill, publish the material for review, etc. That seems to be the right set of steps. I was under the impression that books (or scrolls) in general in the ancient world were very expensive items, and so would not have been lightly discarded. Christian holy writings were even more carefully protected, as even our word "traitor" comes from those who surrendered Scriptures and holy vessels in a later persecution. On the other hand, given the traditional inclusion of various spells for the dead in Egyptian burials, I could imagine some sort of superstitious use of religious texts to give assistance to the dead, or even the inclusion of Homer to give the dead some pleasant reading! Isn't it true that the second century covers the period 101-200? Thanks. Actually, that concerns me too. Did I make a mistake and suggest otherwise? Actually I don't think fragments of ancient texts are necessarily big ticket items. A big hunk of one of the gospels or Homer would be a different matter. But places like Oxyrhynchus have been kicking out hundreds of fragments for over a century. Nor would I dismiss the claims that a mummy mask could be bought by the family of a moderately well off Egyptian - hardly just for royalty. The number of mummified objects is in the thousands and most come from the Greco-Roman period. I certainly agree that one should approach any ancient find with some degree of caution, but I don't think a decent fragment from Mark would bring out the big time forgers. And let's face it, almost every major ancient find has had something odd about it. The Dead Sea Scrolls are safe enough, but their early history has some adventure. Nag Hammadi even more so. We think of such items as having biblical importance and so they do. (A good example is the Rylands fragment which exploded common 19th century speculation that John was Greek in origin and probably was composed in the 3d century.) But it's also true that significant finds can also have big price tags for collectors. But in 1930 I don't anyone would have thought we'd find the Dead Sea Scrolls or the less valuable but interesting Nag Hammadi library. If texts could survive for 2000 years, as some did at Qumran, there is no reason not to think other treasures await discovery. Indeed, it's probably likely that they do. While the current discussion is still in the "fog of war", the possibility that these masks may contain information that has not been previously available is a very interesting path.